Cumberland Island is Georgia’s largest and southernmost barrier island at 17.5 miles long, with 36,415 acres. The island has a storied history but is now almost all a national park. 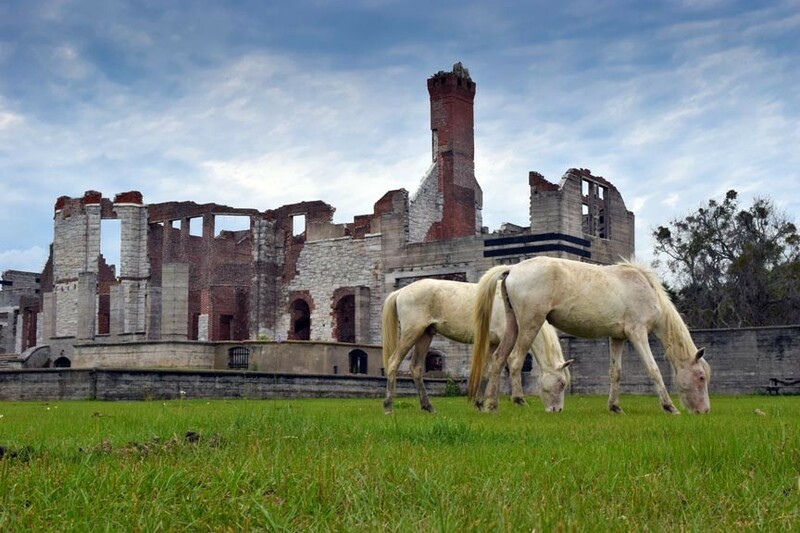 Cumberland Island National Seashore was settled by humans as far back as 4,000 years ago. During the 16th and 17th centuries, it was a province of Spanish Florida. After the British drove out the Spanish, Cumberland Island became home to a number of cotton plantations.